Have you ever wondered about the quality of air that you breathe? In some cases, using an air purifier is a near requirement for health reasons, but in others, individuals may simply be looking to improve the quality of the air they breathe. How do you know if you need an air purifier? It’s simple! In our free Air We Breathe Infographic, we have compiled the facts you need to learn about the air quality in your home or business. Which cities have the best (and worst) air quality, and more! People who suffer from allergies are affected daily by the pollutants commonly found in the air. There are many indoor and outdoor allergens that can lower your quality of life, and an air purifier is a good way to remove them. While many allergies are seasonal and are attributed to environmental factors such as pollen from grasses and weeds, dust mites, ragweed, or even mold, there are often no medications available to treat the bothersome and at times life-affecting symptoms. Dust is unavoidable. As we go about our daily lives, dead skin cells, hair, pet dander, lint, and even dust mites create the household cleaning challenge we commonly known as dust. Mold is a fungus that loves dark, moist spaces. Even if you don’t see it, you probably feel the effects of it: a runny nose, and itchy, watery eyes. If not treated early, mold can grow into a considerable problem. Pollen is one of the most common environmental allergens. The immune system triggers an allergic response to combat the allergens you breathe in, which can lead to symptoms such as runny or itchy eyes and nose and congestion, to difficulty breathing. Download our free "The Air We Breathe" infographic to learn more about how these elements can affect your breathing. People with asthma or other breathing disorders are affected by air quality in a significant and potentially life-threatening way. Asthma is the leading chronic childhood disorder in the country. Many people understand that asthma symptoms can be triggered by outdoor allergens. Indoor allergens, though, can also play a large part in respiratory health. Often, the indoor air quality is as much as five times worse than the air quality outdoors. In a home, inhaling these allergens can lead to allergy symptoms or full asthma attacks. In a commercial space, the age of a building is also a concern. Larger rooms and spaces that are used by high numbers of people tend to have higher levels of allergens and other contaminants like volatile organic compounds (VOCs). Surfaces on chairs, countertops, and throughout a commercial space can also contain a high level of contaminants, where sanitization would be beneficial. Anyone who is concerned about the quality of air they breathe falls into this category. Combating surface dust is a constant challenge. Tracking dirt indoors on our shoes is inevitable. Odors from cooking, pets, perfumes, hair products and the like are unavoidable. While individuals who are interested in air quality for cleanliness purposes may not need an air purifier, they often choose to get one because of the increase in quality of life that it brings. The reduction of airborne pollutants will help any home or commercial space smell great while allowing everyone to breathe easily. According to Scientific American, clean air can add up to five months to the average person’s life expectancy. Portable air purification units can be moved from room to room and quietly, efficiently purify the air throughout the home. Air purifiers with filters require that you purchase the machine itself, and then periodically exchange the used filter for a new one. This method traps pollutants and allergens in the fibers of the filter, so they are not circulated in the air you breathe. Non-filtered air purifiers provide the same important function without the necessity or expense of changing filters. Instead, filterless purifiers rely on ions emitted into the air to do the cleaning. While filtration is sometimes the best solution, there are other options. Many people believe that HEPA grade filtration is necessary for air purification. Our systems provide options based on your situation and personal needs. Once you have chosen the right portable air purifier, you have options as to where to put it. The bedroom is the most common place to use a portable air purifier, though the units are easily moved to go with you in any room you are in. They can even be portable enough to travel with you in your vehicle. Of course, with a portable air purifier, you only receive the effects in the room you’re in. That’s where the benefits of a whole house purifier can come in. While a greater cost at the outset, a whole home (or business) unit can be more cost effective in the long run. Perfect for busy families, these systems work to clean your air throughout your house, all the time. Whole home air purifiers are installed directly into the HVAC system to improve the indoor air quality of the entire building. 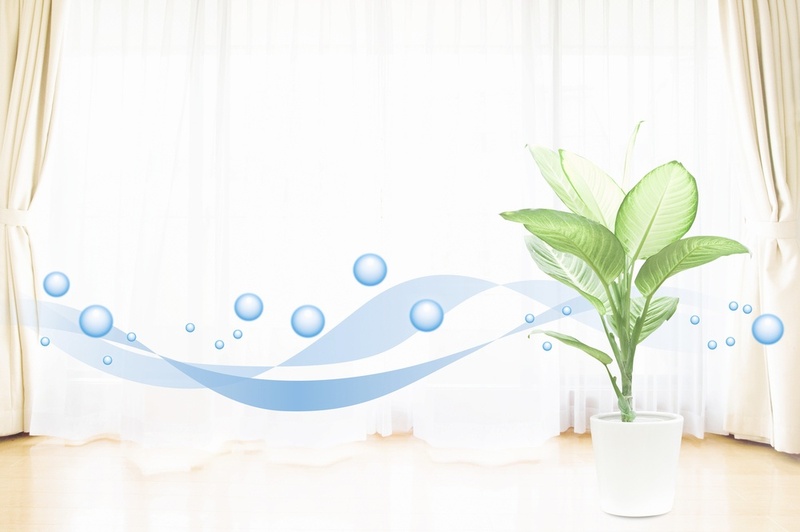 Ions produced by whole home purifiers reduce allergens,mold spores, bacteria, viruses, VOCs and odors as they move through the existing ventilation system, resulting in healthy, breathable, fresh-smelling air. With a whole house unit, little to no regular maintenance is needed. Simply install, and enjoy breathing clean, refreshing air every day. If you are asking yourself if you need an air purifier, the answer is probably yes. Whether at home, at work, or in a vehicle, the option for purified, clean, allergen-free air will help allergy sufferers, those with respiratory illnesses, and anyone wanting a breath of fresh air.. If you are actively suffering from allergies or breathing issues, adding a purifier to your home, office, or car will make a noticeable impact in your quality of life. Homes will smell fresher, breathing will be easier, and overall comfort will be improved.